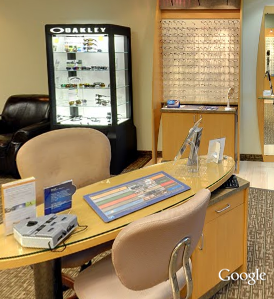 Come In and Meet Our Ashburn Eye Doctors! Our Ashburn optometrists take the time to explain the results of your eye exam, describe your options and listen to your eye care needs. Because maintaining good eye health is an ongoing partnership, we encourage you to ask questions and share your health information, which could be vital to monitoring, diagnosing and treating potential vision problems. Dr. Richard Kao is available on Mondays, Tuesdays, every other Wednesday, Thursdays, Fridays, and every other Saturday. Dr. Roy Park is available on Mondays, Tuesdays, every other Wednesday, Thursdays, Fridays, and every other Saturday. Dr. Richard Kao received his degree in Biology and Psychology from Rutgers University in New Brunswick, New Jersey. He then received his Bachelor of Science degree in Visual Science and his Doctor of Optometry degree from Pennsylvania College of Optometry in 2001. 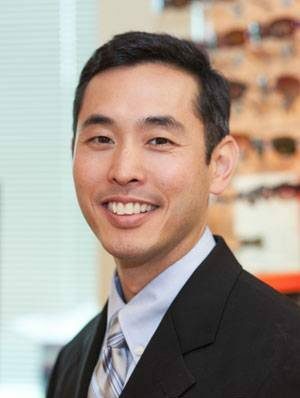 During his attendance at Pennsylvania College of Optometry, Dr. Kao was active in such organizations as the American Optometric Association and the National Optometric Association. He was also awarded the E.F. Wildermuth Foundation Scholarship for academic excellence and finished in the top ten percent of his graduating class. 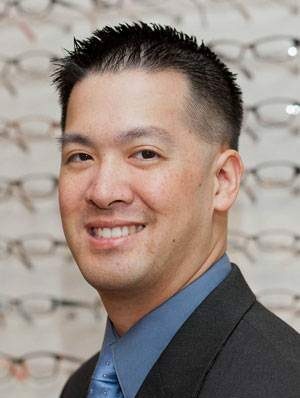 Following his education at Pennsylvania College of Optometry, Dr. Kao trained at The Veterans Administration Hospital in Boston, Massachusetts, where he developed a strong interest in the treatment and management of ocular disease. This continued as Dr. Kao continued his training at Omni Eye Services in Iselin, New Jersey, where he worked with some of the most prestigious eye specialists in the NJ/NY area, including specialists in retina, cornea, cataract, glaucoma, neuro-ophthalmology, oculoplastic surgery, and laser eye surgery. Dr. Kao continued to build on his experience while working in various private practice settings. Schedule an appointment now with Dr. Richard Kao. Dr. Roy Park received his Bachelor of Science degree in Biology from Virginia Tech in 1994. He then received a Bachelor of Science degree in Visual Science and his Doctor of Optometry degree from Pennsylvania College of Optometry in 2000. During his education at Pennsylvania College of Optometry, Dr. Park was a member of the Beta Sigma Kappa Optometric Honor Society. Dr. Park is a very proficient optometrist with extensive experience in treating patients pre- and post-operatively for cataract, glaucoma, retina and refractive surgeries, as well as treating various ocular diseases. He is well versed in fitting specialty contact lenses. He has lectured to optometrists for continuing education courses on topics such as refractive surgery and ocular disease. During his training he completed a rotation in primary eye care at the National Naval Medical Center in Bethesda, MD. He has several years of experience working with a Glaucoma and Retina specialist in Philadelphia. He also has experience working with a cornea specialist, cataract specialist, and a LASIK specialist in Northern Virginia. Schedule an appointment now with Dr. Roy Park.